So Guys- heads up! The amazing set is on sale here and will go fast. 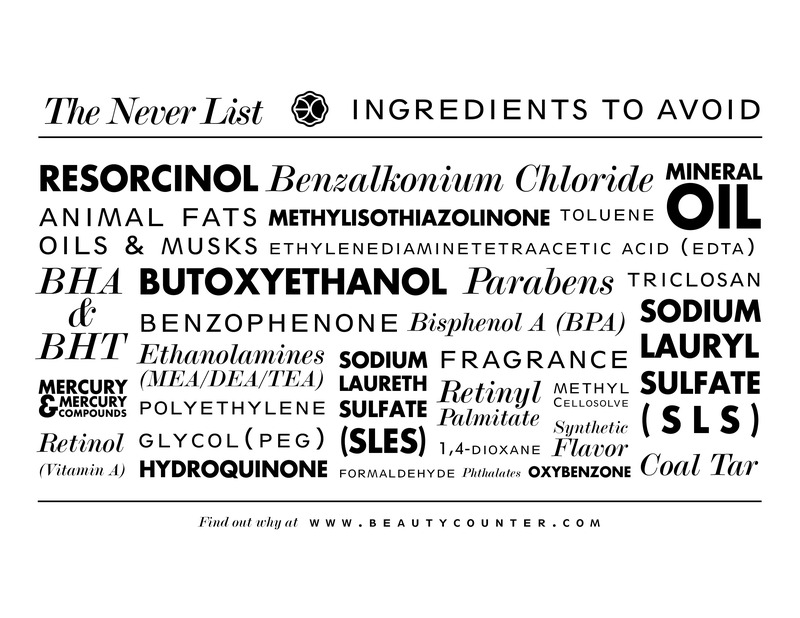 Don’t think you use “beauty” products? Think again. You shower (I hope), meaning you use shampoo, body wash or soap. Maybe conditioner, probably a face wash. There’s four products right there. If you shave, you’re adding shaving cream and probably aftershave. If you don’t, you probably trim your beard (and likely have to shave the edges), use a beard oil or other moisturizer. Now you’re up to six. Deodorant, toothpaste, mouthwash. Nine. Sneak a bit of zit cream? Ten. Hair care? Eleven… sunscreen (you better), body lotion, twelve. Still thinking you don’t use “beauty” products? So now here’s the kicker- men are just as susceptible to the harmful affects of carcinogens and endocrine disruptors in our products as women are. Each of those products above contain an average of 80 unique chemicals, many inert, some harmful and the kicker is, some are unknown. “Fragrance” can mean anything the company wants it to mean- there is no regulation or oversight. The laws governing this huge industry haven’t been updated since 1938 and are only 1.5 pages long. 1) Diethyl phthalate (DEP): commonly found in personal care products with fragrances such as cologne, deodorant, shaving products like aftershave and creams, plus shampoo. Studies have shown that DEP can cause its use to low sperm count in men. In children, Attention Deficit Hyperactivity Disorder (ADHD) and in babies, DEP can impair reproductive development. Just one use shows that even just using fragrance or cologne one time can increase the levels of DEP. Many popular, mainstream products from manufacturers contain DEP. Quicksilver, Calvin Klein Eternity for Men, Old Spice After Hours Body Spray and Abercrombie & Fitch Fierce just to name a few. 2) Lead acetate: can be found in hair color. Banned from cosmetics in the European Union (EU) because of its toxic effects on the human reproductive system. Brands include Men’s Grecian and Youthair. 3) Coal tar: like Neutrogena T-Gel Shampoo and other dandruff shampoos. Already banned in the European Union (EU). Coal tar is a known human carcinogen found in personal products and cosmetics. 4) Triclosan: Most often found in antibacterial soaps, but can also be seen in deodorants. Deodorant brands include Old Spice Wide Stick, Speed Stick, and Edge Advance. Antibacterial Handsoap from Dial. Hormone disruptor and can cause antibiotic-resistant bacteria. The Canadian Medical Association has asked their government to ban any use of triclosan in household products. Triclosan-containing soaps have been taken off many store shelves as there is no evidence that they perform better than just plain ole’ soap and water. 5) Formaldehyde and 1,4-dioxane: Body wash and shampoos are the most frequent offenders. Known carcinogen to animals and possibly humans. Formaldehyde can cause allergic reactions and rashes. 1,4-dioxane is known to contaminate groundwater. So now what? Start reading labels. Start switching to safer alternatives. Start questioning what’s in your products with the same mind as you question what’s in your food. In recent decades reproductive and developmental problems have become more prevalent—for example, data from the Centers for Disease Control and Prevention (CDC) show that male reproductive problems, including undescended testicles and hypospadias, doubled between 1970 and 1993. Environmental chemicals are strongly suspected to be contributing factors. Several recent reports highlight the presence of low-level concentrations of potential reproductive or developmental toxicants, particularly phthalates, in cosmetics and personal care products. Beautycounter is actively working for increased regulation of the personal care and cosmetics industry. We want to see safer products in the hands of everyone, including men! This limited edition set box is targeted towards men, and the two products will change your life. The charcoal bar is going to keep the zit cream in the cabinet and the mask leaves your skin refreshed, clear and balanced. Go for it. Your skin and your health will thank you for it. Head to Beautycounter.com and start reading up on safer alternatives. Any questions? Shoot me an email! You deserve safer products too!